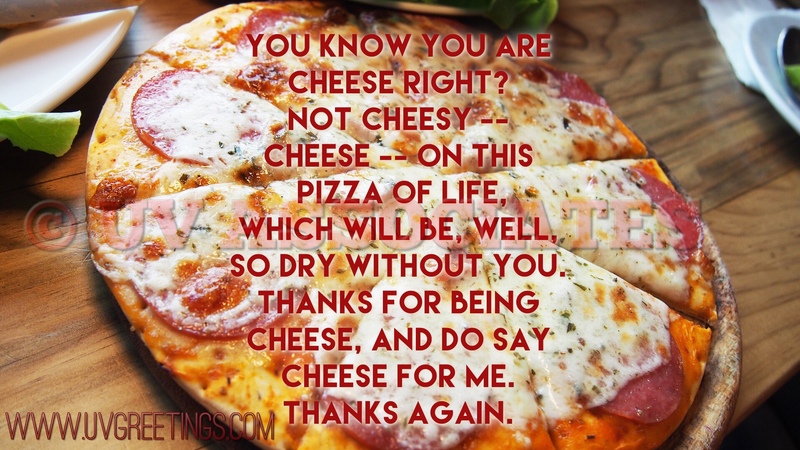 An eCard to say thanks to a friend who is like cheese on the Pizza of life. And Pizza is so dry without... Cheese!